This actually was a copycat that I CRAVE after long periods away from one of my fav restaurants, Nose Dive. 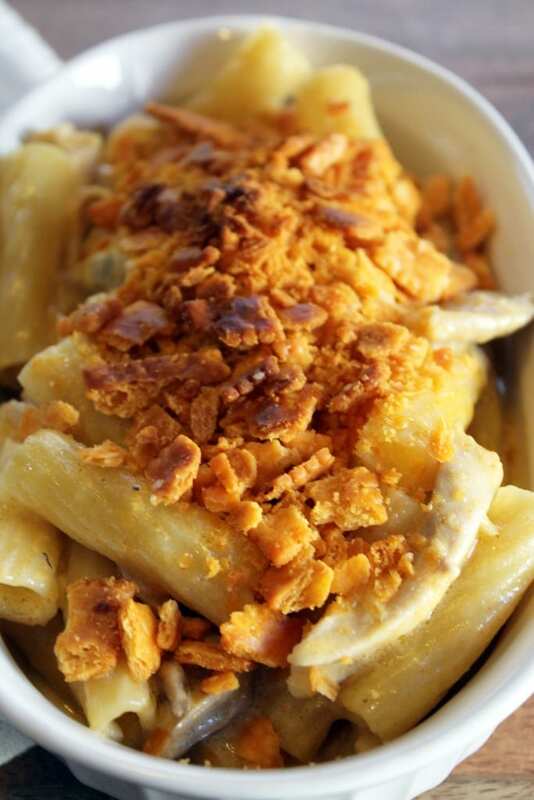 They have a duck mac and cheese with cracker topping, and it’s just SO good. Seriously delicious, and I usually force Jay to share it with me but then eat it all so…awesome. 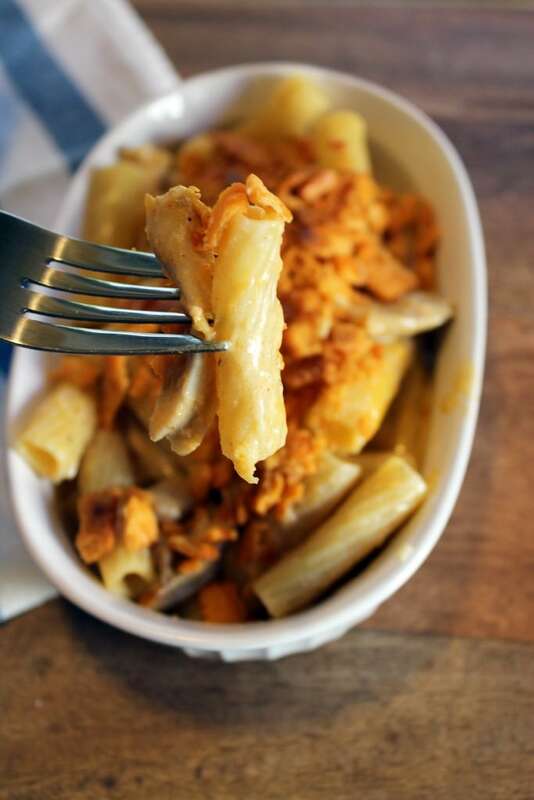 This version isn’t lighter, but it’s definitely cheaper, thanks to a really wonderful substitute of chicken thighs braised in mother effing butter and chicken stock, and the Cheez-It topping is just….you know. Now, listen. If you’re a Nips person I suppose that’s fine, but it is my personal belief that this dish is made better by legit Cheez-Its due to their sharp cheddar flavor. If you would like to use another kind of cheese cracker’s I guess we can deal with that. But seriously….try not to be that guy. 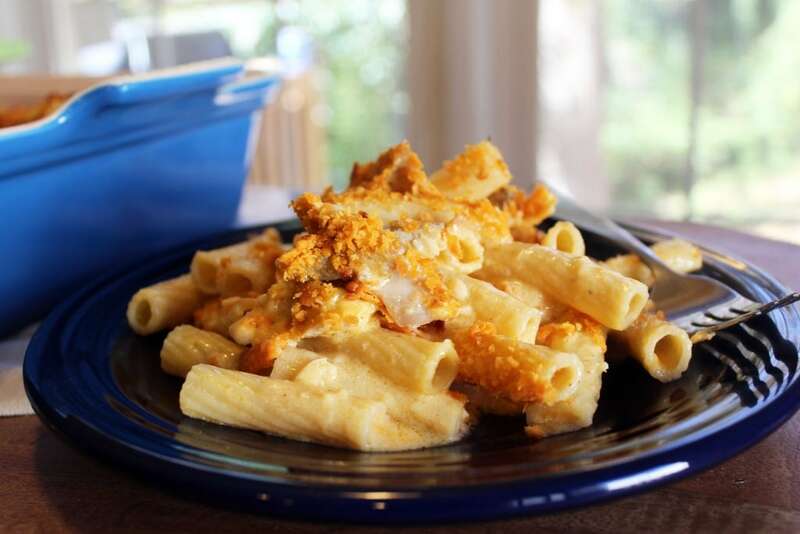 For this decadence, you need short pasta, chicken thighs, nutmeg, smoked paprika, garlic, butter, half and half (or milk….health nut), cheddar cheese, parmesan cheese, Cheez-its, and chicken stock. You also need flour and beer (optional), which I decided on once I took that there picture. 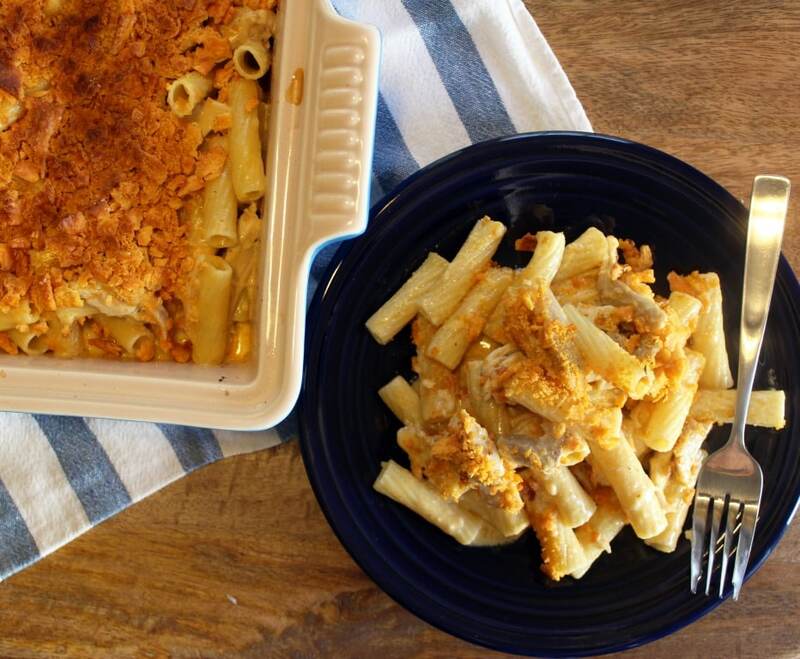 Road map: You can make this using one baking dish and one big pot. 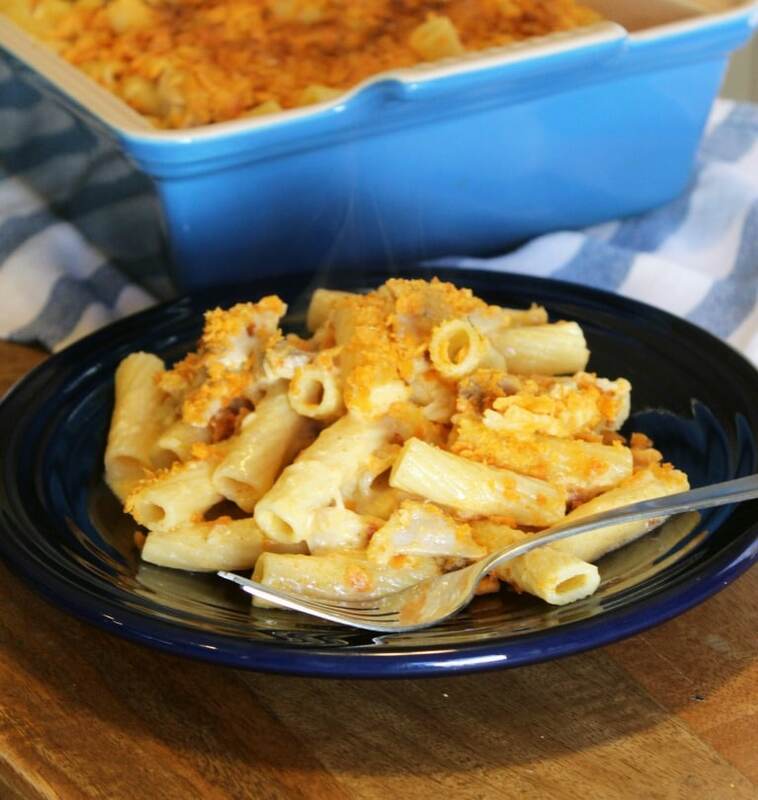 OR, two baking dishes and two big pots if you love dishes! We’re going to start the chicken thighs, then cook and drain the pasta while they cook. When the thighs are done, we’ll make the sauce in the pasta pot while the chicken cools. Then we mix everything all together in the big pot, and bake it in the oven in the same baking dish used to braise the thighs. So, that’s the order that things happen in these pictures. You can change it if you love dishes. Whatever. First, we’ll start the chicken thighs, which braise at 400F. Toss them in a big baking dish, then top each thigh with a pat of butter and some salt. Pour 1 cup of stock in the bottom of the baking dish, then roast away! Thighs come in three ways – boneless, skinless, bone-in, skinless, or bone-in, skin-on. These are bone-in, skinless and took 50 minutes to cook through. If you add skin add about 10 minutes to the cooking time, if you take away bones and skin subtract about 10 minutes from the cooking time. Thighs are pretty forgiving and don’t dry out even if they cook a few minutes extra, so air on the side of “no one likes rare chicken” for this dish. While the chicken is braising, boil and drain the pasta! Drain it 2 minutes before it’s al dente – it finishes cooking in the oven later. Also! 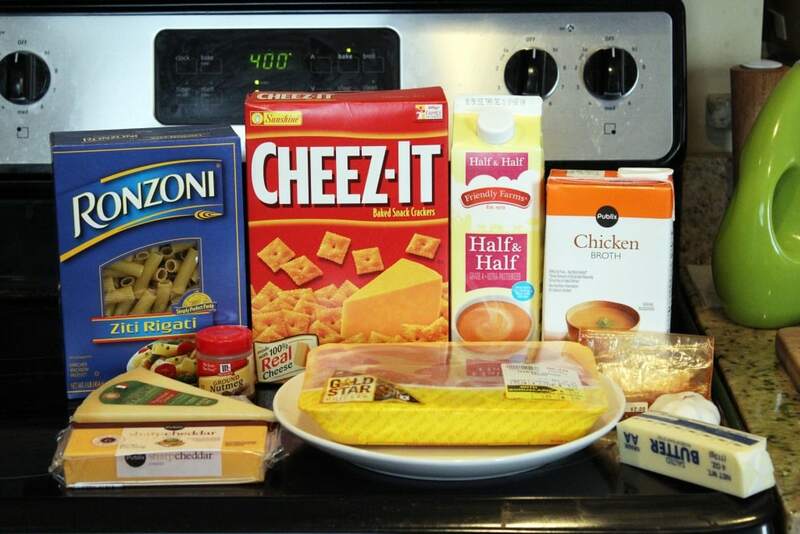 Make the Cheez-It topping. I use a food processor, but you could just whack the Its in a plastic bag with a pan – whatever makes them crumbly! 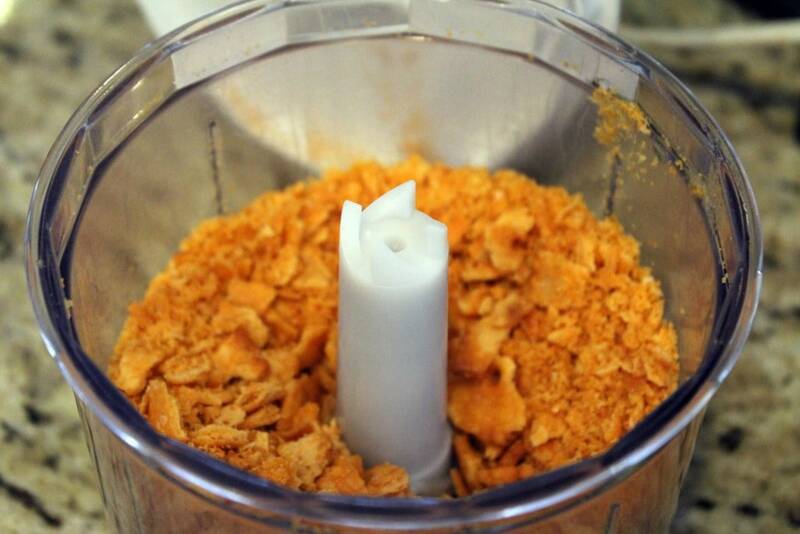 You need about 3 cups of uncrumbled Cheez-Its. Whir them around for a few seconds until they’re still pretty chunky but smaller than whole crackers. How’s THAT for specificity? Now, once the chicken thighs are braised and the pasta is cooked, we can make the sauce! Remove the chicken thighs to a plate to cool. 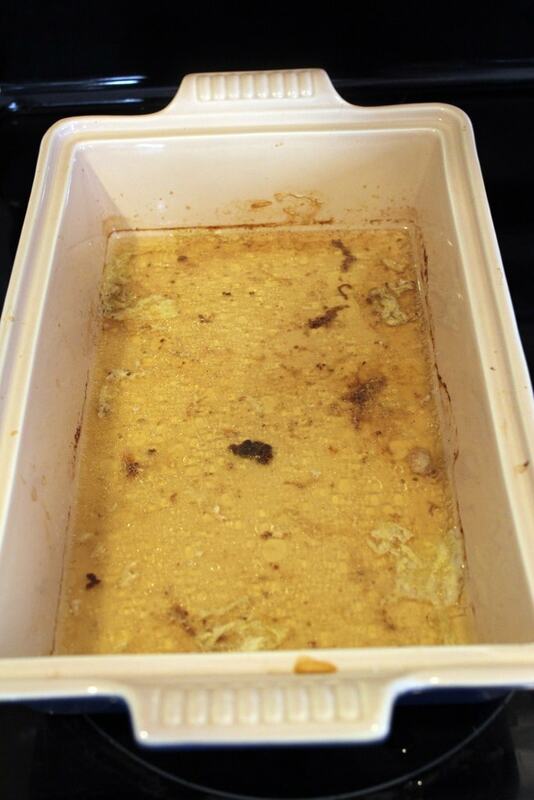 And for the love of God, DO NOT throw away those chicken drippings! They go straight in the sauce and result in a really thick chickeny mac and cheese. In a good way. For the sauce, bring a pot (the pasta one or something else) to medium heat with the remaining butter. 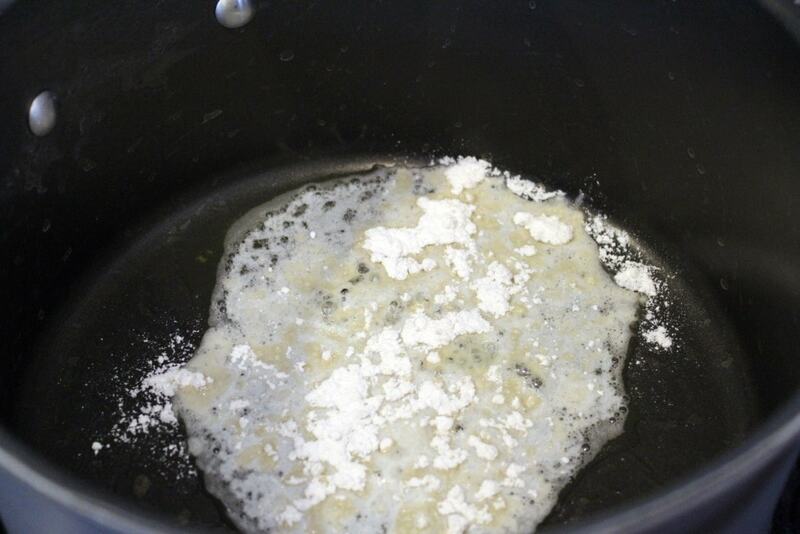 Add the flour, then whisk for 1 minute to create a smooth mixture. To the flour, add the stock from the chicken dish and beer. Increase the heat to medium-high if the mixture doesn’t come to a bubble, then add the half and half. Now, at this point you should have about 2.5 cups of liquid. 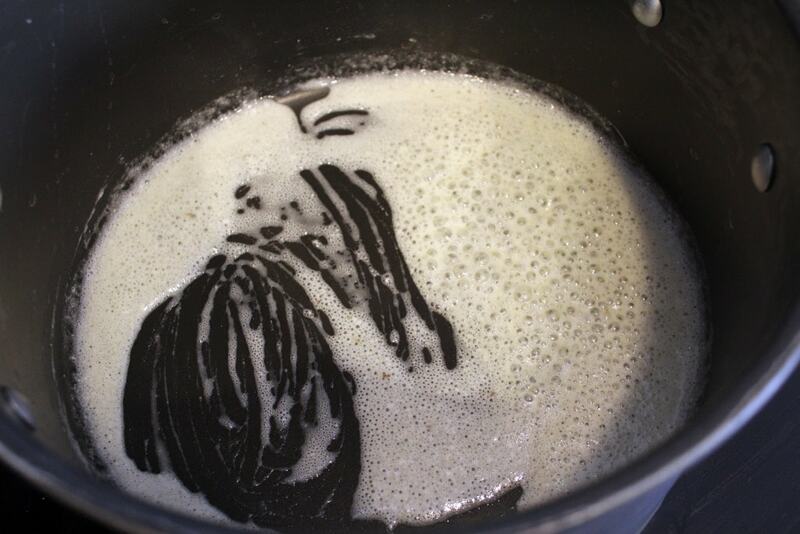 If your chicken didn’t produce as much liquid, add more stock from the box (or can, whatevs) to create 2.5 – 3 cups of beer/stock/half and half. Don’t fret too much about the overall quantity. 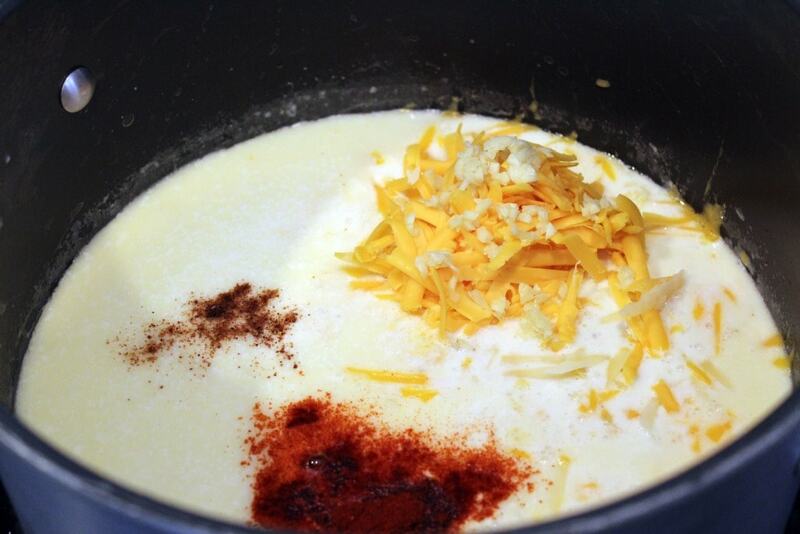 Let the milk mixture come to a bubble, then add the paprika, nutmeg, garlic, and 2/3 of the cheese. Stir to combine, and taste: add some salt if you’d like. The sauce will be thin but don’t worry! It’ll thicken in the oven. Turn the cheese sauce off and shred the chicken with your fingers or two forks. Save the bones for homemade stock! 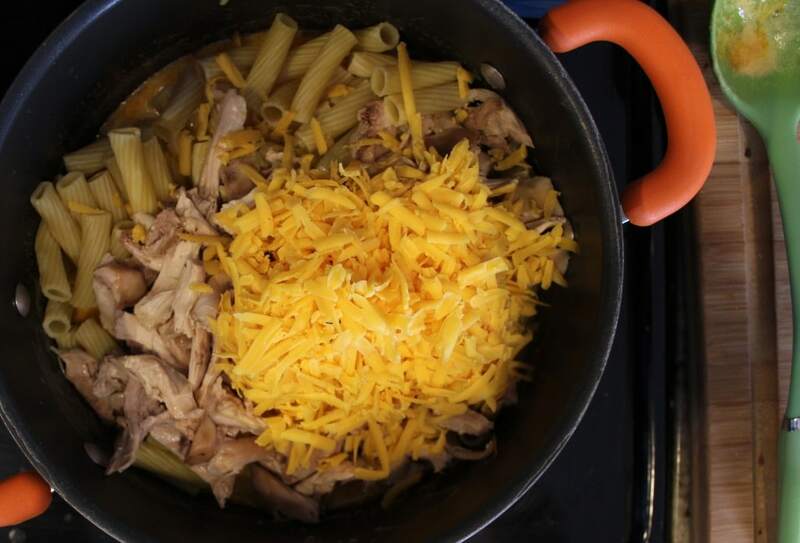 Now, add the chicken, remaining cheese, and pasta to the cheese sauce. It should be slightly soupy; add a combination of stock and half and half 1/4 cup at a time if you’d like more liquid in your mac and cheese. 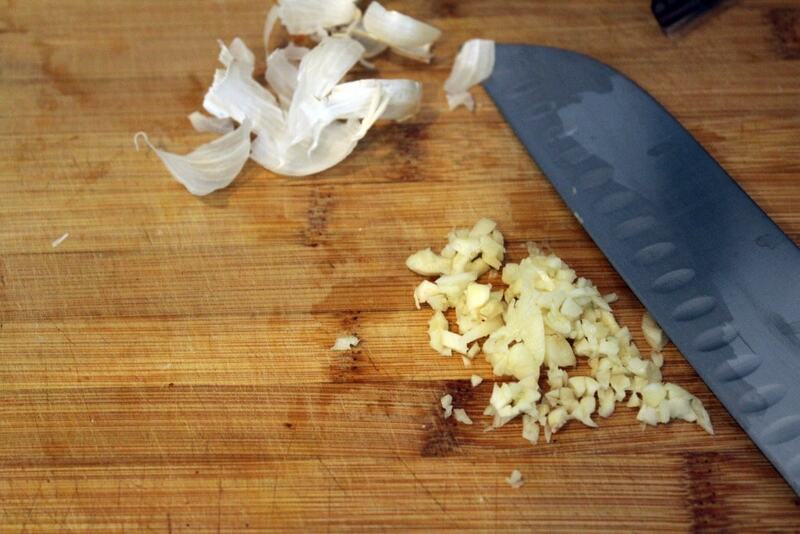 Stir everything together and taste it again – add more salt if you need to. 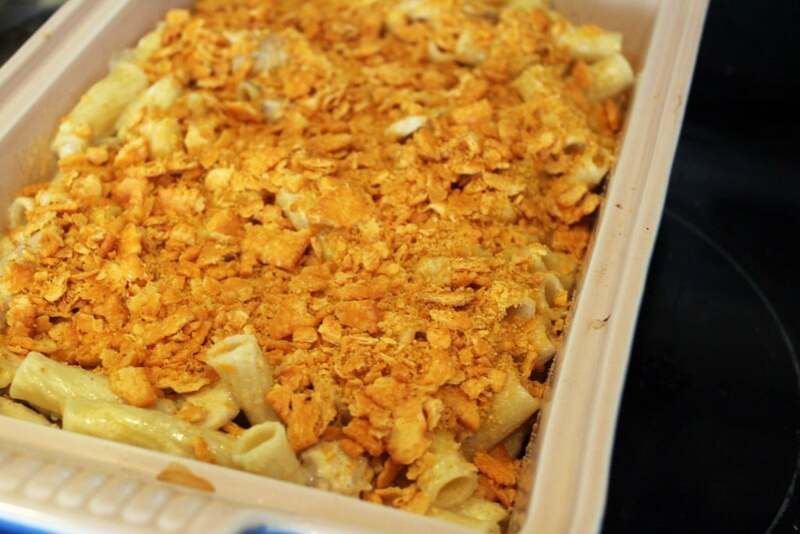 Pour the mac and cheese into the baking dish used for the chicken, and top it with the ground Cheez-Its. YES YES YES. Now, you can cover this and save it for a rainy day in the fridge or freezer, or you can bake it right now at 450F until bubbly and the top is slightly browned. Friends, I can’t even describe this to you. The beer adds a great tang to the sauce, and the nutmeg and smoked paprika are just the BEST – super flavorful without being overwhelming. This is one of the best things I’ve made in a long time, and a guaranteed cure to….anything. Promise. Make this soon, and ENJOY! It’s worth every single calorie. Place the chicken thighs and 1 cup stock in a baking dish. Turn oven to 400F. 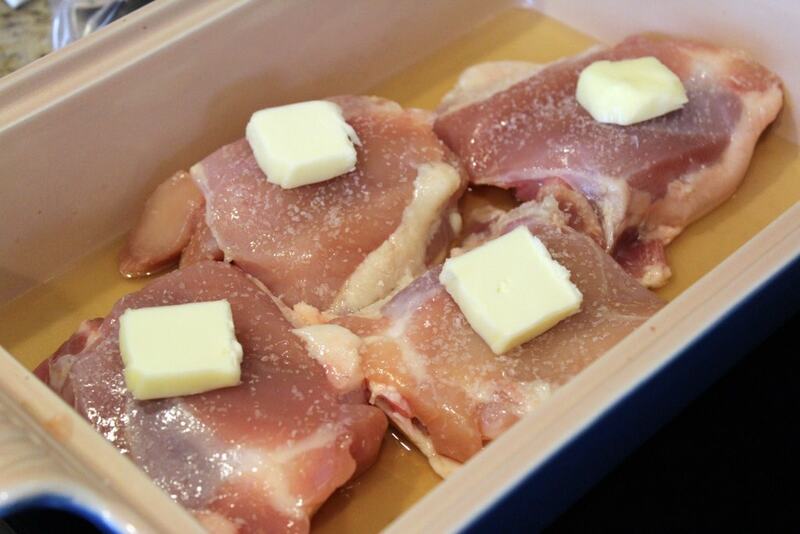 Salt the thighs, and place 1/2 tablespoon butter on top of each piece of chicken. Roast until cooked through, for 50 minutes. Remove to a plate to cool, reserving the juices. 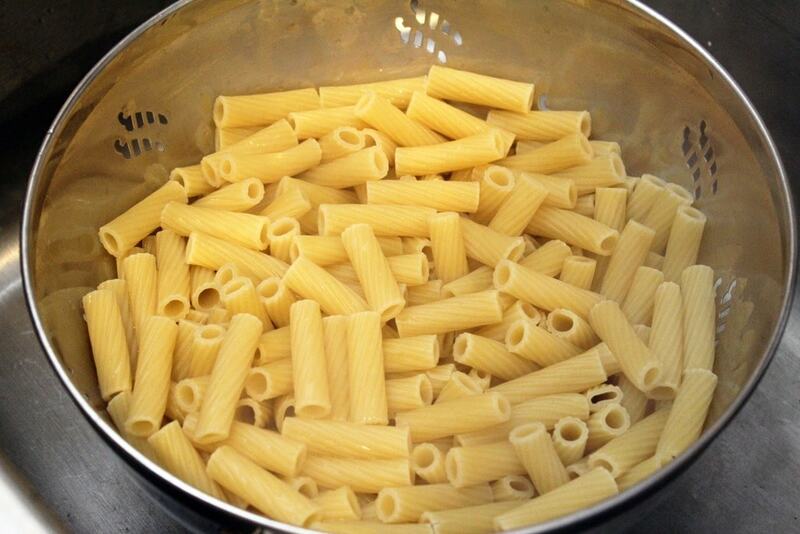 While the thighs are cooking, cook and drain the pasta 2 minutes before al dente. 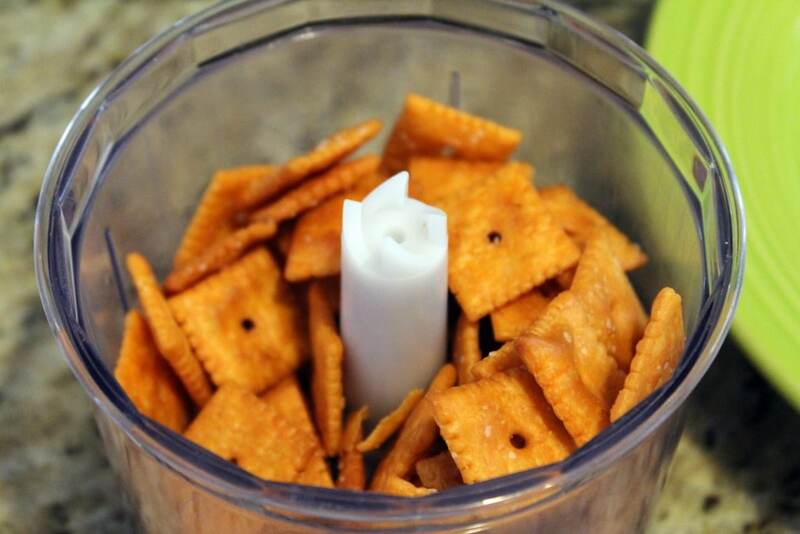 Whir the Cheez-Its in a food processor or crush in a plastic bag until coarse crumbs form. When the chicken thighs and pasta are cooling, make the sauce: add the remaining 2 tablespoons butter to a large pot (the same one you used to cook the pasta is good!) over medium heat. 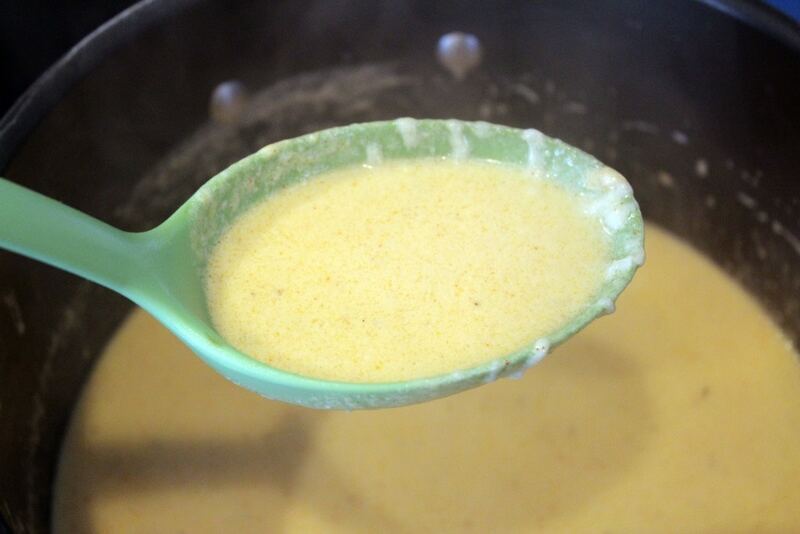 When the butter is melted, add the flour and whisk for 1 minute to create a thin roux. 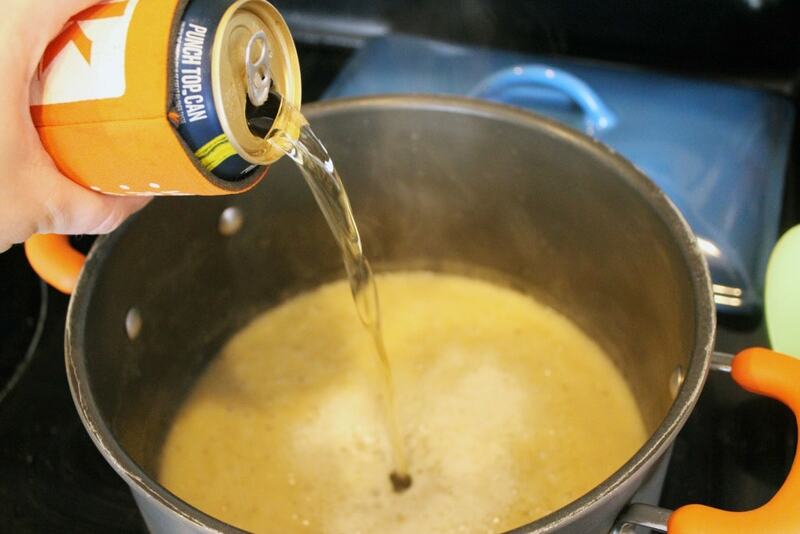 Add the beer, drippings from the chicken pan, and the half and half. 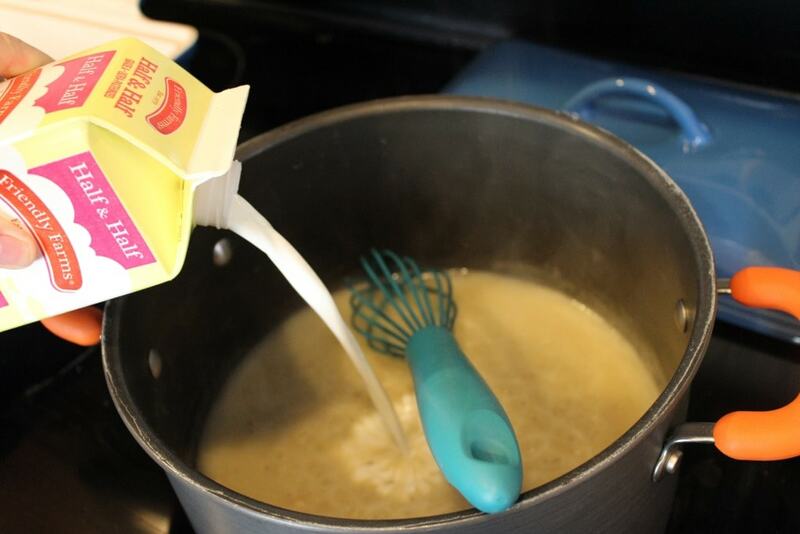 Whisk, and increase the heat on the pot to medium-high. Let the mixture come to a bubble, and add more stock as needed to make about 3 cups total, including the beer, stock, and half and half. Add the paprika, garlic, nutmeg, and 2/3 of the grated cheese to the pot. 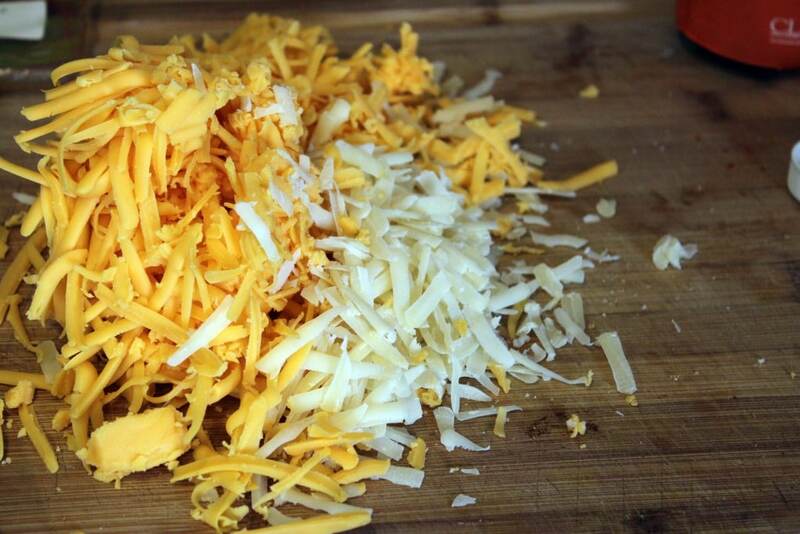 Stir until the cheese is melted, then turn off. 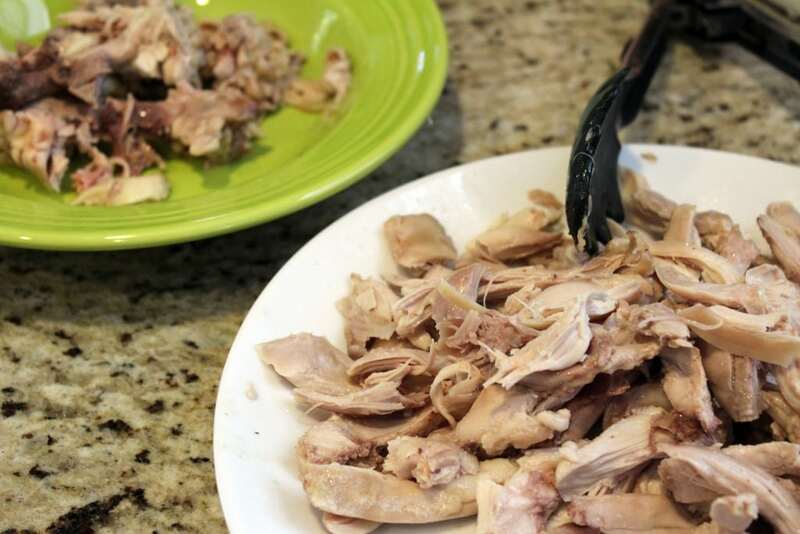 Shred the chicken with your fingers or two forks into bite-sized pieces. 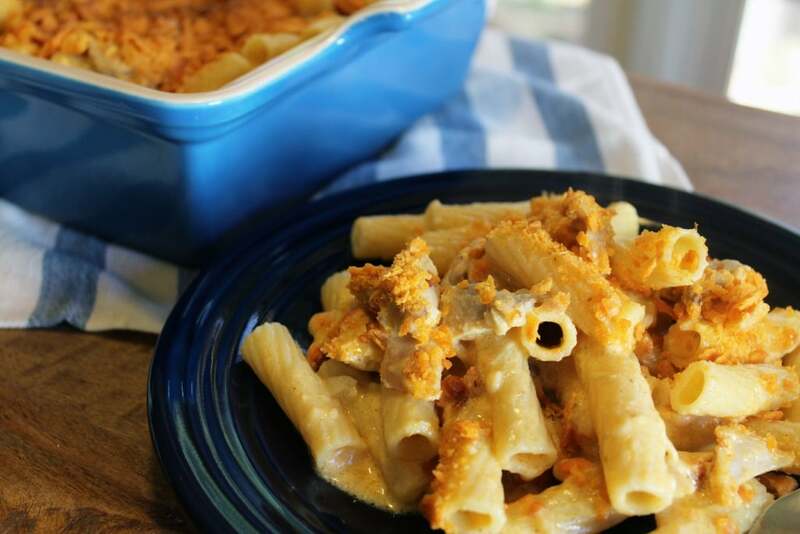 To the cheese sauce, add the pasta, chicken, and remaining cheese. Stir to combine, then taste - add salt to your preference. Pour into a baking dish - I used the same one I used to braise the chicken. 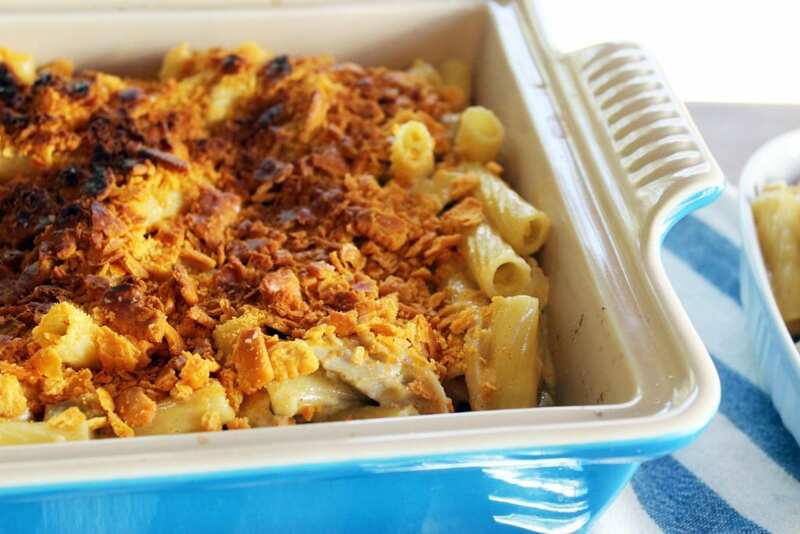 Top with the Cheez-it crumbs, then bake at 450F until bubbly and slightly browned on top, about 15 minutes if you cook the mac right away. 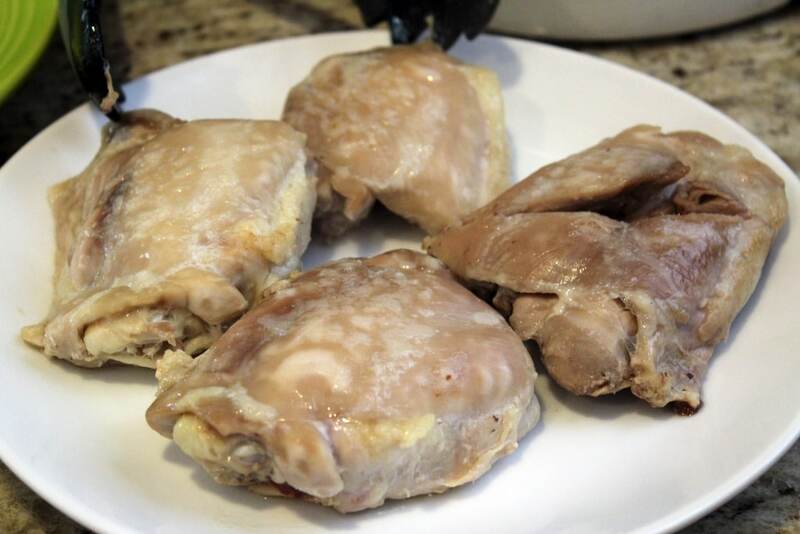 For boneless, skinless thighs, reduce cooking time by 10 mins. For bone-in, skin-on, add 10 minutes to cooking time. 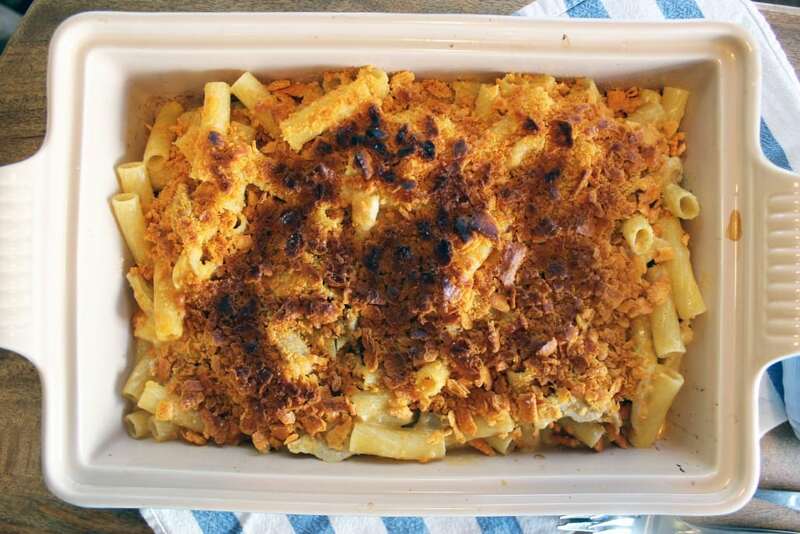 May be made in advance and kept in the fridge for 3 days or freezer for several months. To reheat from the fridge, place in a cold oven and turn to 425. Cook for 30 - 45 minutes until bubbly and slightly browned on top. From frozen, thaw on counter for 3 hours, then follow instructions above. This looks so delicious. I cannot wait to make a big batch! Come and visit us. We are having a wonderful giveaway. A new Delta faucet for your kitchen valued at $700!